As an engineer, I used to be quite skeptic about wearable computers. The reason was simple: wearable experiences were just not good enough. A few months ago, I was speaking at the annual Microsoft MVP Summit and I had the opportunity to experience Hololens first-hand. And it totally changed my view. Hell, it is not “just good”. It’s real. It’s there! Hololens is a Mixed Reality experience you can trust. Microsoft released the official Hololens SDK + Hololens Emulator in its Build 2016 event. First things first. 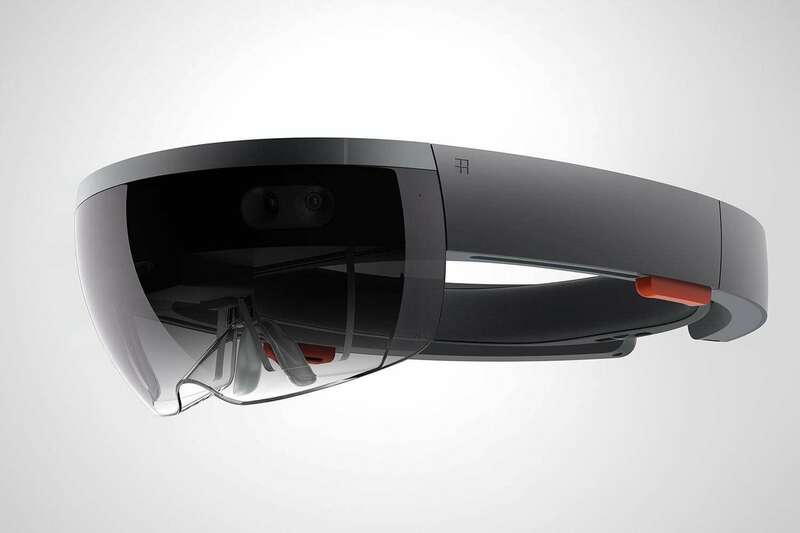 Hololens is a lightweight headset that projects holograms in front of your eyes. Using Hololens, you can navigate into the physical world and interact with virtual 3D objects. You can touch, gaze, rotate, and even use your voice to invoke commands. Hololens is equipped with a depth camera. The depth camera can measure the distance between any physical point and the Hololens device. Using the depth sensor, Hololens is able to recreate and understand the world around it! The representation of the various surfaces is called spatial mapping. A hologram is any 3D object placed somehow into the real world. The means of projecting 3D models into the real world is, well, Hololens. This video shows examples of holograms for Augmented and Mixed Reality. What is Virtual Reality / Augmented reality / Mixed Reality? Virtual Reality and Augmented reality have become the hottest trends of 2016 (after Justin Bieber’s songs I guess). A ton of headsets are now available, promising to blow our minds. But, what exactly is each type of Reality? Virtual Reality (VR) is a fully digital world. When using a VR app, you can navigate within a 3D world made purely of pixels and polygons. Augmented Reality (AR) is an enhanced version of the real world. When using an AR app, you can navigate to the real world and view spatial digital information. Mixed Reality (MR) is a merging of real and virtual worlds. Mixed Reality is more about the interaction between the physical and digital objects. What’s the technology behind Hololens? Hololens is a computer running Windows 10. The apps you’ll develop for Hololens are Universal Windows Apps. Unlike other headsets, Hololens has its own CPU and you do not depend on another computer. It’s a portable solution that makes it (literally) stand out. Do I need to be a guru in 3D modelling or gaming? No! Definitely, a solid background in 3D graphics and/or gaming is a huge plus, but you do not need to be an expert to get started. 3D graphics are fun to use. Trust me, when you familiarize yourself with this brave 3D world, you’ll never go back to the traditional 2D User Interfaces. Hololens comes with a powerful Windows SDK and a powerful Unity plugin. During the development process, we’ll be using both Visual Studio and Unity3D. Unity is the most advanced 3D gaming engine; plus, it’s extremely easy to get started with it. To install the tools, first download Visual Studio Update 2. Then, install the Emulator. Finally, install Unity. Important! You need to have hardware virtualization enabled in your PC. To enable hardware virtualization, follow these instructions (yes, you’ll have to modify your BIOS settings). During the next days, I’ll be publishing blog posts, tutorials, and guides about Hololens development. I’m also expecting my precious device to ship. OK, we talked about Hololens app development, but what about Hololens app design? Since Apple launched iOS 7, the world has been jiggling around “flat UI”, “modern UI”, “simple UI”, etc. Designers have been embracing a cleaner style in their graphics, usually by removing unnecessary clutter. Modern user interfaces are, indeed, simpler to use, yet they have all started to look the same. Augmented Reality changes our perception about the User Interfaces. User Interfaces are not 2D canvases any more. Now, User Interfaces need to consider our whole 3D world! That’s a HUGE opportunity for digital artists, as well as a totally new field of innovation. Why? Visual elements are now more than just plain buttons, lists, and scrollbars. You have touchable, draggable, scalable, and rotatable objects in the three-dimensional space. You can do much more than clicking! A user may move around, or look at different directions. A Hololens Augmented Reality app would need to adjust to that, move, and re-arrange the elements. Eye tracking – understanding exactly where the user looks. Finger tracking – understanding basic finger gestures. This is different than the traditional cursor-like approach that would require updated Human-Computer Interaction Guidelines. My guess: UI and UX designers will have a whole new field to investigate, and a ton of new experiences to create. Microsoft and Microsoft Research have given us some inspiring and phenomenal glimpses of the new technology. Hololens can change the way we interact with the physical objects and the other people. This video shows how you can interact with digital objects while moving, working, or just having fun. 3D body scanning (that can be achieved by a sensor like Kinect). Hologram projection in the 3D space. Read more about Holoportation and the way it could transform our everyday communication. So, this is it for now, folks. Let me know what are you planning to create using Hololens. ‘Till the next time, stay tuned!